Highlights in this issue include a conversation with Tankpool 24 Racing's Stefan Honens, a dossier on the Jon Kaase Extreme Pro Stock V8 and challenge of Dakar Malle Moto. A report from Autosport Engineering 2019, special investigations into Time Attack and the Elmer Racing Thor I4 Turbo. An insight into Electromagnetic design tools as well as focus articles covering fuel filters. Click 'Details' for full contents. 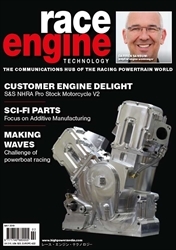 Highlights in this issue include a conversation with Energica's CTO Giampiero Testoni, an insight into high-performance computing as well as electric avenue. A dossier on Yamaha's YZR-M1 I4, the challenge of Top Fuel Hydroplane and a show report from PRI 2018. We take a look at the Gyrtech Dakar Caterpillar I6 Turbodiesel as well as a focus on crankshafts. Click 'Details' for full contents. 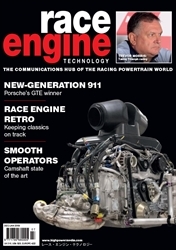 Highlights in this issue include a conversation with ExternPro’s technical director Trevor Morris and a dossier on the Porsche RSR17 GTE FLAT-SIX. The Challenge of MotoGP and Race Engine of the Year 2018. A report from PMWE 2018, insight into combustion analysis, Race Engine Retro as well as a focus on camshafts. Click 'Details' for full contents. 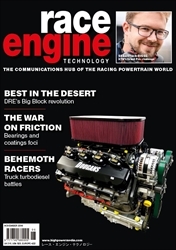 Highlights in this issue include a conversation with Sebastian Risse and a dossier on Dougan's Racing Engines Trophy Truck V8. The next instalment of Jack Kanes Reno v12 Turbo, the challenge of FIA Truck Racing and we reveal the 12 nominations for the Race Engine of the Year 2018. An insight into Rallycross as well as focus articles covering bearings and coatings. Click 'Details' for full contents. 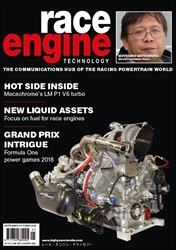 Highlights in this issue include a conversation with Motohiro Matsumura of Nismo, a dossier on the Mecachrome V634P1 LM P1-NH and a report from the 2018 British GP. The fifth part of Jack Kane's Project Reno V12 Turbo and the challenge of Electric Motorcycle Racing. We look at the Liquid-Piston X-Mini as well as focus articles covering fuels, pushrods and rockers. Click 'Details' for full contents. 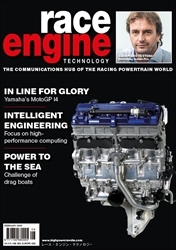 Highlights in this issue include a conversation with Andrea Dosoli of Yamaha and our first edition of electric avenue. 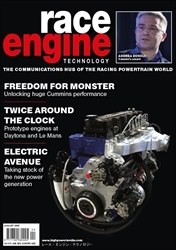 A dossier on the Freedom/Rose Cummins UCC Diesel, a report on the 24-hour prototype engines of 2018 as well as focus articles covering engine control units and steels. Click 'Details' for full contents. 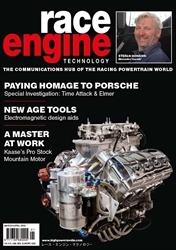 Highlights in this issue include the fourth part of Jack Kane's Reno V12 Turbo project and a conversation with BMW's Jens Marquardt. The challenge of land speed record racing, a dossier on the Katech Trans Am Ford 358 CU in V8 as well as a look at the Gibson Technology GL458. A show report from the Automotive Testing Expo as well as focus articles covering pistons & Metrology. Click 'Details' for full contents. 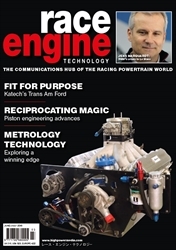 Highlights in this issue include the third part of Jack Kane's Reno V12 Turbo project and a conversation with IndyCar's Darren Sansum. The challenge of Powerboat Racing and a dossier on the S&S Cycle VPS160 NHRA Pro Stock motorcycle v12. Insights into battery testing and microwave telemetry, the development of the HR35 TT Ridgeline Baja Truck. As well as focus articles covering additive manufacturing and fasteners. Click 'Details' for full contents.